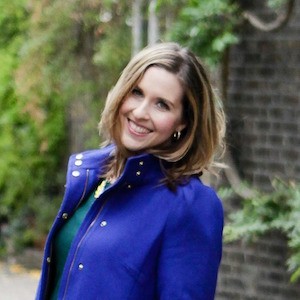 Is it weird that I’m slightly exited to finally wear a jacket for Fall for the first time last week? It probably is, but I’ve never claimed to be normal. So with all of the Fall gear beginning to make an appearance, I’m pretty psyched for Autumn to be here. And what screams “Fall” as far as food goes, more than pumpkin recipes?! Be warned that Hallmark starts airing Christmas movies in 2 weeks, so let’s enjoy Fall as long as possible! I mean, I love Christmas flicks, but I feel like they kinda rush through Fall by airing them so early. But back to the pumpkin recipes, because I digress. I adore working with pumpkin, since it’s such a versatile ingredient. 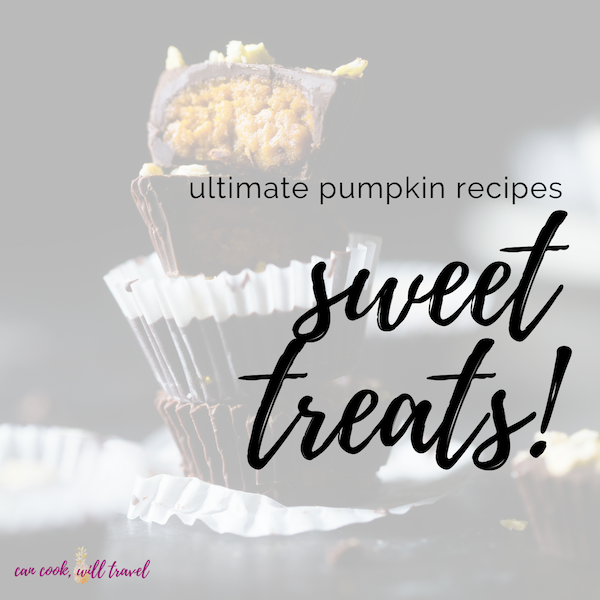 In doing a quick search across my blog, I was so happy to see tons of pumpkin recipes to select. Plus I’ve already made one this year, and I have another up my sleeve for this week! To me, great pumpkin recipes either showcase the flavors of pumpkin or use it in a cool way. 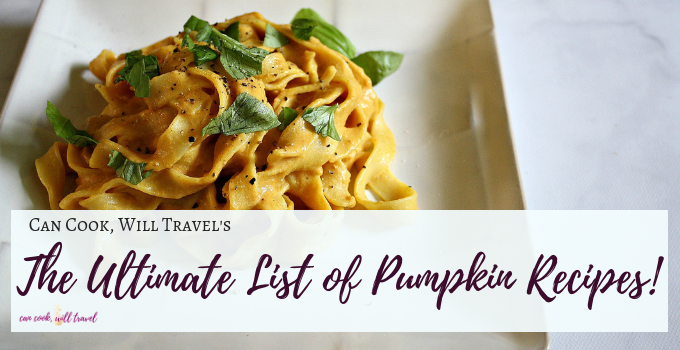 I’ve created this ultimate list of pumpkin recipes, because I believe we need lots of pumpkin dishes in our lives. 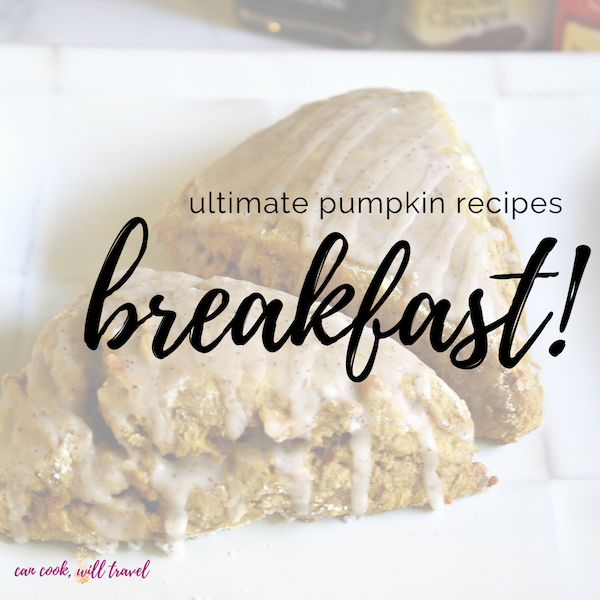 Breakfast– My obsession with breakfast is a real thing, and why the heck shouldn’t pumpkin be present first thing in the morning?! 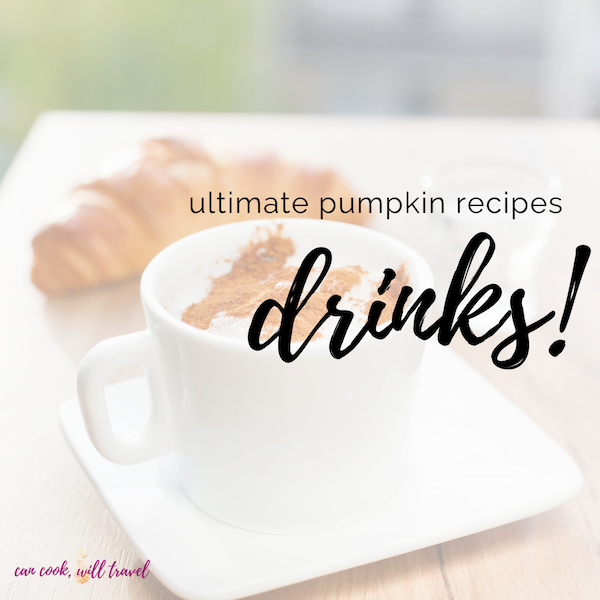 Drinks– Because the world’s obsession with pumpkin spice lattes demands this be a category. 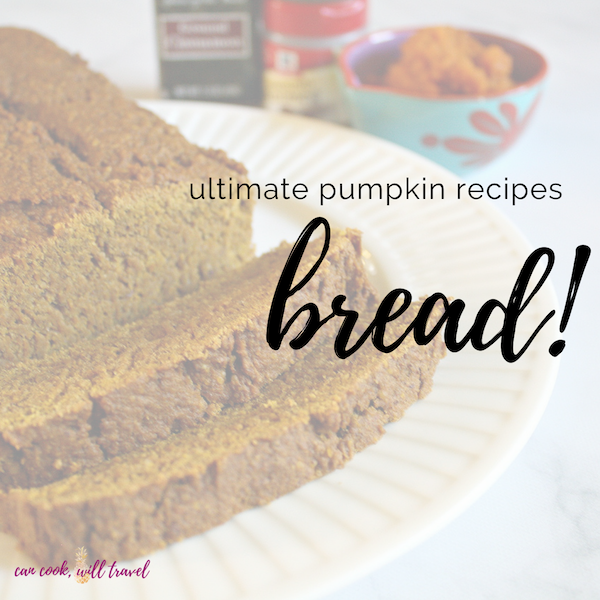 Bread– Does anything smell better than freshly baked pumpkin bread in the kitchen? I think not! Cookies– Pumpkin is a great ingredient in cookies to help make them soft and chewy! Bars– I love making bars when I have to take a dessert or dish somewhere, because they’re easy to throw together and transport. 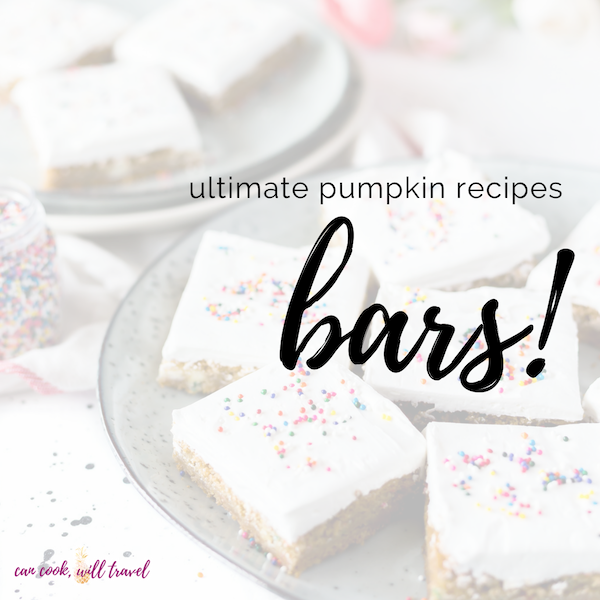 So pumpkin bars are a MUST! Cakes– Who doesn’t love cake?! Sweet Treats– This category encompasses all the other sweet treats that you might enjoy like donuts, cinnamon rolls, cobbler, and rice krispies! 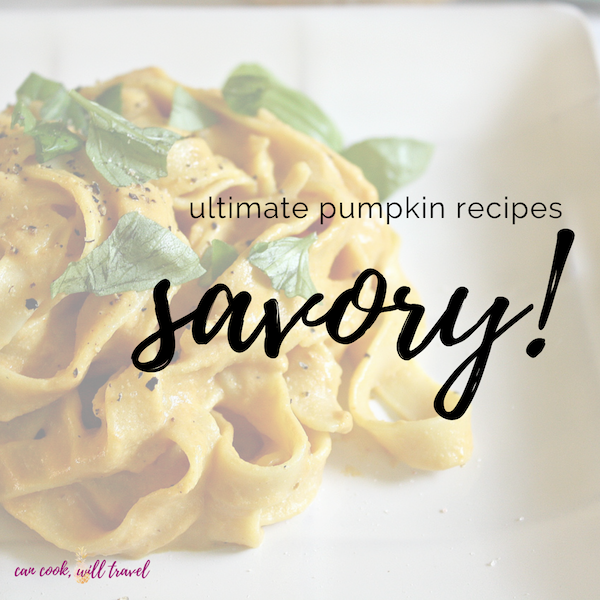 Savory – Because pumpkin doesn’t always have to be served in sweet recipes, this category highlights delicious ways to eat pumpkin for dinner or a snack! 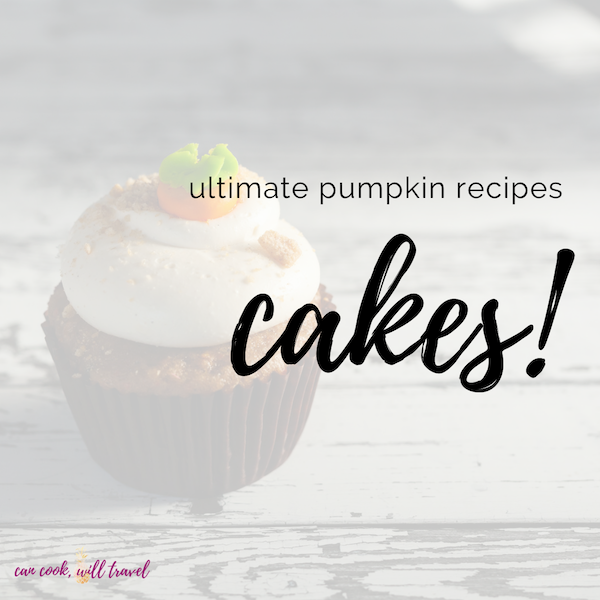 Now let’s dive into these pumpkin recipes, shall we?! Pumpkin French Toast Sticks – I’m a giant fan of french toast, so this recipe is a fun twist on a recipe I grew up making! Healthy Pumpkin Pie Overnight Oats (GF) – I love overnight oats for breakfast, because they’re the fastest way to ensure you enjoy a healthy meal first thing in the morning. And this recipe is crazy good! 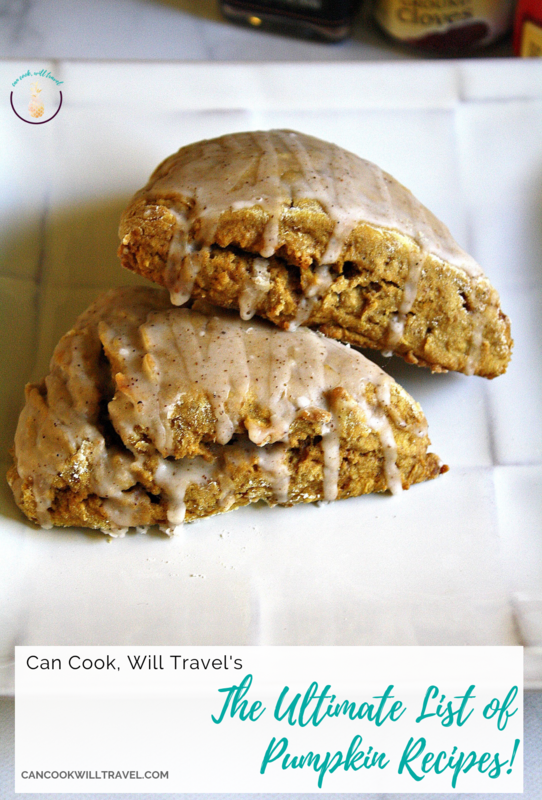 Pumpkin Scones (DF) – You just gotta make these, so let’s start with that! Seriously these are the perfect treat if you love scones and pumpkin flavors, so make them straight away! Pumpkin Crumb Cake Muffins – With a pumpkin cake and streusel topping, these sound perfect to dig into for a breakfast treat! Easy Pumpkin Waffles – Not only are these delicious but they also smell fantastic as they cook! Pumpkin Cream Cheese Swirl Muffins – I’m a lover of muffins and there seems to be no better combo with pumpkin than cream cheese in a decadent sweet treat! Yum! Pumpkin Pie Syrup – Add this syrup to your favorite waffles or pancakes and breakfast is taken to another level! Skinny Pumpkin Spice Latte (DF) – I whipped up this drink on a whim a couple of years ago, and I’m glad I did! What a lovely way to treat yourself! Slow cooker Pumpkin White Hot Chocolate – I love using a slow cooker for unexpected things, and this drink is just that! How delicious does this sound?! Pumpkin Pie Smoothie – Now this smoothie filled with banana, pumpkin, and yogurt sounds like a total treat, doesn’t it?! Death by Chocolate Pumpkin Bread – I adore both chocolate and pumpkin bread, so I’m not only intrigued but drooling at this point! Vegan Pumpkin Bread (GF & DF) – I’m so crazy about this recipe, because it comes together in one bowl and makes your house smell AMAZING. Plus any leftover bread freezes easily and is perfect to enjoy throughout the winter. Cream Cheese Filled Pumpkin Bread – I’m a giant fan of pumpkin bread, and if you fill it with cream cheese, I’m officially interested even more! Pumpkin Pull Apart Loaf – Using biscuits to help make the bread pull apart-able, and then stacked between pumpkin filling, well it looks super delicious! Banana Pumpkin Chocolate Bread – Another fun combo for a pumpkin bread with this recipe, and it looks like the perfect sweet treat! Pumpkin Biscotti (DF) – I took these on a road trip several Falls ago, and they were a great way to enjoy a cookie without it being overly sweet and heavy! Soft Pumpkin Cookies – You had me at soft cookies, if I’m honest. These look so delicious! Pumpkin Snickerdoodle Cookies – My obsession with these cookies is a very real thing, and if you love snickerdoodles, then you MUST make them! 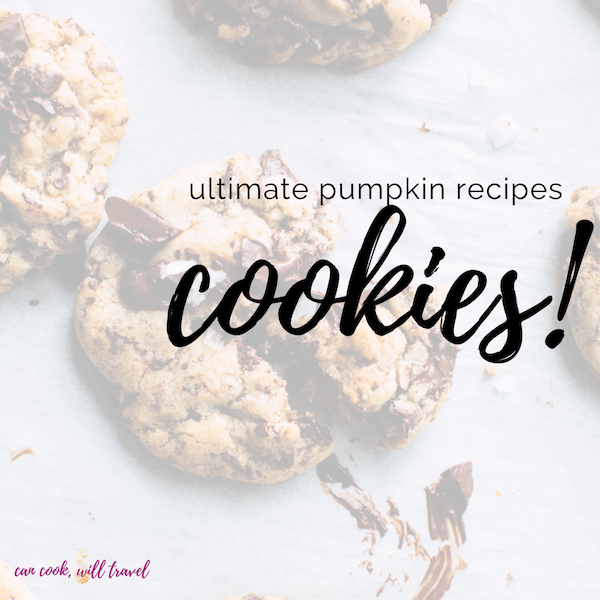 Pumpkin Oatmeal Chocolate Chip Cookies – If you’re craving oatmeal cookies, why not add some chocolate and pumpkin for a perfectly Fall cookie?! Melt-in-Your-Mouth Pumpkin Cookies – I adore soft, chewy cookies, so these pumpkin cookies are right up my alley! Paleo Pumpkin Bars (DF & GF) – Wow are these bars crazy good, healthy, and some of my bars I’ve ever made! These bars can be dairy free simply by using dairy free chocolate chips like the Enjoy Life brand. Pumpkin Spice Blondies – (DF) This vegan blondie sounds simply divine, because I love a good blondie and pumpkin! Pumpkin Pie Crumb Bars – This recipe looks like a perfect choice for bringing a baked good to anything this Fall! Classic Pumpkin Roll – Ooh I’m thinking it could be hard to beat this pumpkin cake rolled around a cream cheese filling, don’t you?! No Bake Pumpkin Cheesecake – This cheesecake looks smooth, creamy, and totally decadent! Pumpkin Pie Coffee Cake – Sign me up, because this pumpkin cake with a cream cheese frosting and crumble topping sounds fabulous! Easy Mini Pumpkin Cinnamon Rolls – This recipe sounds so delicious with a pumpkin butter as the filling base and a cream cheese frosting – oh yum! Pumpkin Cinnamon Sugar Donuts – (DF) The blogger includes a vegan version of this recipe, so that’s great. She also uses pumpkin pie purée instead of pure pumpkin, which is a fun change! Pumpkin Spice Rice Krispie Treats – This quick and easy recipe kicks up the treat I loved as a kid several notches with pumpkin purée added in! Easy Pumpkin Cinnamon Rolls – I’m loving that this one takes 30 minutes and uses crescent rolls to help you save time! Baked Pumpkin Donut Holes – Shut your mouth! is my first reaction to the sound of these, because they look awesome! Pumpkin Pecan Cobbler – I love a good cobbler, because they’re really easy to throw together, and the combo of pumpkin and pecan is a winner! Healthy Pumpkin Alfredo Pasta (DF) – I was going to share my regular pumpkin Alfredo post I did, but this one is so good that you might as well eat it a little more healthily! But in case you don’t care, then check this dairy-filled one out! Pumpkin Cornbread (DF) – Next time you make chili (like this recipe), make this cornbread, and then thank me later! Pumpkin Ravioli – As pretty and fun as they sound, the fact that they’re a cinch to make is a lovely surprise! Perfect Pumpkin Seeds (DF & GF) – Lest we forget the pumpkin seeds! They’re totally snack-able with this healthy, savory recipe! 15-Minute Thai Pumpkin Soup (DF & GF) – The use of Thai flavors in this soup is so creative and fun. Plus this soup sounds like a perfect meal on a busy weeknight! Whew, what a rundown of some pretty epic pumpkin recipes, if I do say so myself! I’ve tested several recipes on the blog, and others are ones that I can’t wait to try! Which pumpkin recipe in this list has you excited it’s pumpkin season? And what’s your favorite way to enjoy some pumpkin in the Fall? Comment below, and then let me know so we can keep the convo going! Stay inspired & go enjoy some pumpkin!